Pablo Machin’s Seville will be hoping to continue their barnstorming start to Spain’s Liga Santander when they host Villarreal at the Sanchez Picquan Stadium on Sunday afternoon. 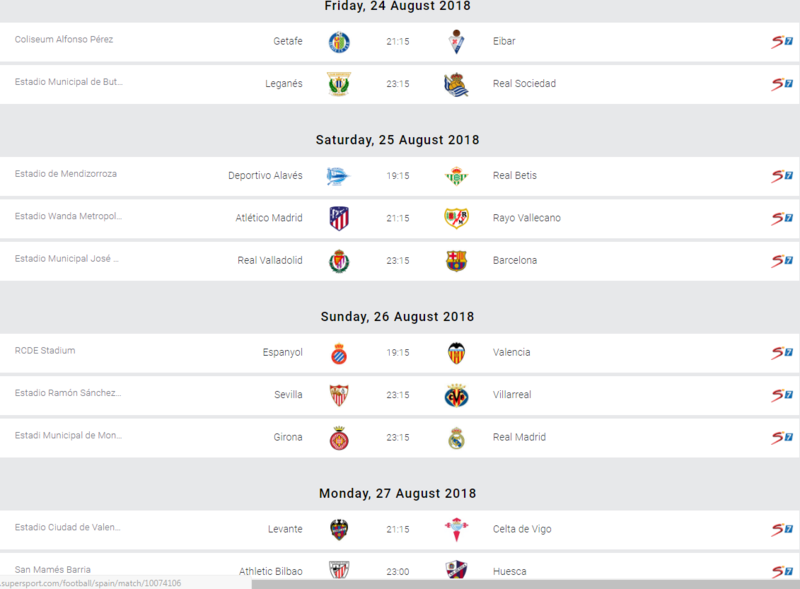 Pablo Machin’s side sit atop the embryonic La Liga table, ahead of Barcelona and Levante on goal scored, courtesy of the Andalucians’ 4-1 victory at newly promoted Rayo Vallecano on the opening weekend. If Spain’s oldest club are to improve on an abysmal domestic record that has seen them lift a solitary Primera Liga title back in 1945-46, freshly recruited striker Andre Silva must maintain his blistering start to the season. The Portuguese goal poacher plundered a hat-trick at Vallecano to lay down an early marker in the race for the Pichichi or Golden Boot. The 128-year-old club is making light work of balancing Europa League action with Liga Santander. On Thursday night, a Pablo Sarabia goal propelled Seville to a 1-0 victory at Czech outfit Sigma Olmonuc, to help Spain’s most successful side in Europe’s second tier competition, maintain their one hundred percent record. Perennial contenders and defending champions Barcelona, who brushed aside Alaves 3-0 on Day One thanks to a Lionel Messi brace, travel to Real Valladolid keenly aware that they fell 0-1 on their last ever visit to the newly promoted side. Title winning boss Ernesto Valverde could hand a start to World Cup winning defender Samuel Umtiti after handing him an extended break following the Russia finals. Rivals Real Madrid were effective without being spectacular in disposing of Getafe 2-0 on Match Day one. New manager Julen Lopetegui can count on the creative influence of Russia 2018 Golden Ball winner Luca Modric, as Croatia’s captain has denied trying to engineer a transfer to Italian giants Inter Milan. Club record signing Gareth Bale is to spearhead the attack. However, the Primera Liga action begins Friday night with a double header. Getafe will be aiming to atone for defeat to Real Madrid when they host the division’s smallest club, Eibar. Elsewhere, Leganes, who conceded an injury time winner in a 1-2 setback at Athletic Bilbao, are at home to free scoring Real Sociedad.